Usage:- Used mainly in Hematology and testing whole blood in molecular diagnosis. 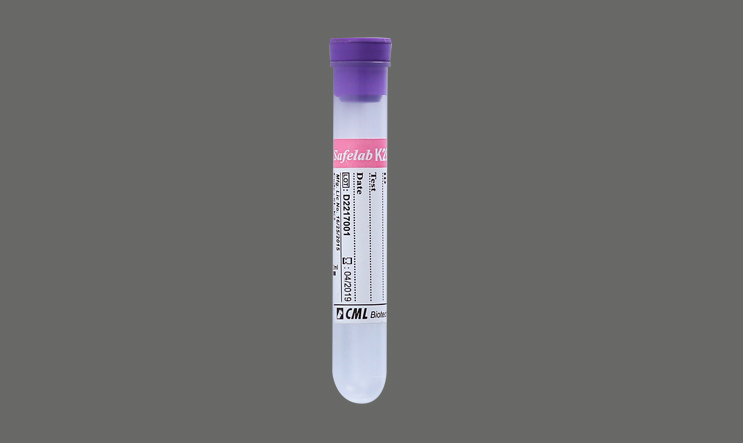 EDTA tubes are used for direct sample analysis since Erythrocytes, Leucocytes and Thrombocytes are stable in EDTA anti coagulated blood for 24 hours. Should gently invert 1800 8-10 times or roll in blood roller mixer to assure complete mixing with blood.